Finding the right dentist in Westminster can be a challenge. 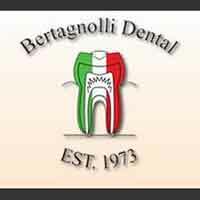 At Bertagnolli Dental you will feel welcome the minute you walk into our office. We offer the individual attention you deserve and modern dental techniques for you to receive modern dentistry at its finest. Our comprehensive list of restorative, general and cosmetic dental care services suit the needs of your entire family. Some of the services we provide include teeth whitening, veneers, implants, crown, general check-ups/teeth cleaning, dentures and sedation dentistry. Don’t let a fear of the dentist keep you away. For fearful patients we offer sedation dentistry for their comfort. We take pride in offering personalized attention and a full range of services using state of the art technology and techniques. Call to schedule your appointment today. See why our patients recommend us when they need a dentist in Westminster.